The Toronto Maple Leafs need the All-Star break more than just about anyone. They’ve lost seven of their last 10 games, falling well behind the Tampa Bay Lightning for the Atlantic Division lead. Toronto’s last game before the break will be Wednesday at home versus the Washington Capitals. TV: 7:30 p.m. ET, NBC Sports Network, TVA, Sportsnet, Sportsnet 360, (Toronto): LINE: Maple Leafs -185; O/U: 6.5 Over -121. Things started going sour for the Maple Leafs (29-17-2) in early December, after they signed hold-out center William Nylander to a new contract. Nylander has struggled since his debut. He has scored just one goal and has three assists in 20 games. He has earned himself a demotion to Toronto’s fourth line. The Leafs are 9-9-2 this year with Nylander on the ice. F Mitch Marner has four goals and two assists in his last six games. G Frederik Andersen (21-11-1) is just 9-7-0 at home this season. This is despite sporting a 2.28 goals-against average and .930 save percentage. Washington (27-16-6) have played a bit better than they did during the 2017-18 regular season. They’re third in the Metropolitan Division with 59 points, one fewer than the Maple Leafs. Toronto has the superior goal differential at plus-31 to plus-13 for the defending Stanley Cup champions. LW Alex Ovechkin leads the NHL with 33 goals, but the Capitals don’t have strong puck possession stats. They’re worst in the league in face-offs at 46.4%. The Leafs are second in that department at 52.5%. 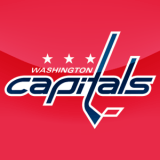 The Capitals have lost a season-high six in a row (0-4-2) and has surrendered at least seven goals in three of their last four contests. G Pheonix Copley likely will get the nod on Wednesday and bid for his first win since Jan. 8, when he turned aside 37 shots in a 5-3 victory versus Philadelphia.